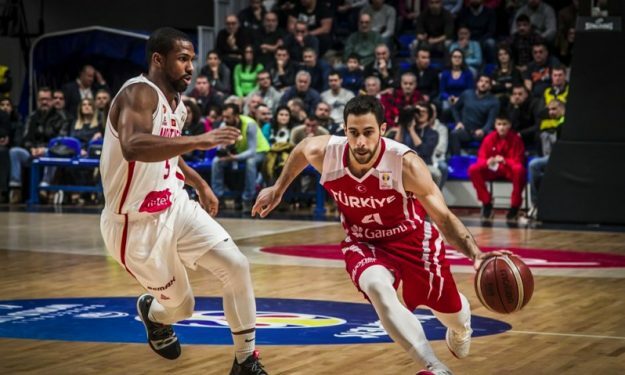 Turkey has already sealed a ticket for the 2019 FIBA World Cup, but has two more qualifiers left. Ufuk Sarica named 14 players for the final FIBA window. Already-qualified Turkey will host Slovenia on February 22nd and finish its World Cup Qualification Rounds matches in Spain three days later. Yigit Arslan, Dogus Balbay, Metecan Birsen, Berkan Durmaz, Semih Erden, Tolga Gecim, Sinan Guler, Goksenin Koksal, Kartal Ozmizrak, Sertac Sanli, Oguz Savas, Bugrahan Tuncer, Metin Turen and Berk Ugurlu are the members of the squad announced by TBF. Seven players are also involved in EuroLeague Regular Season Round 23, but will join their National Team. 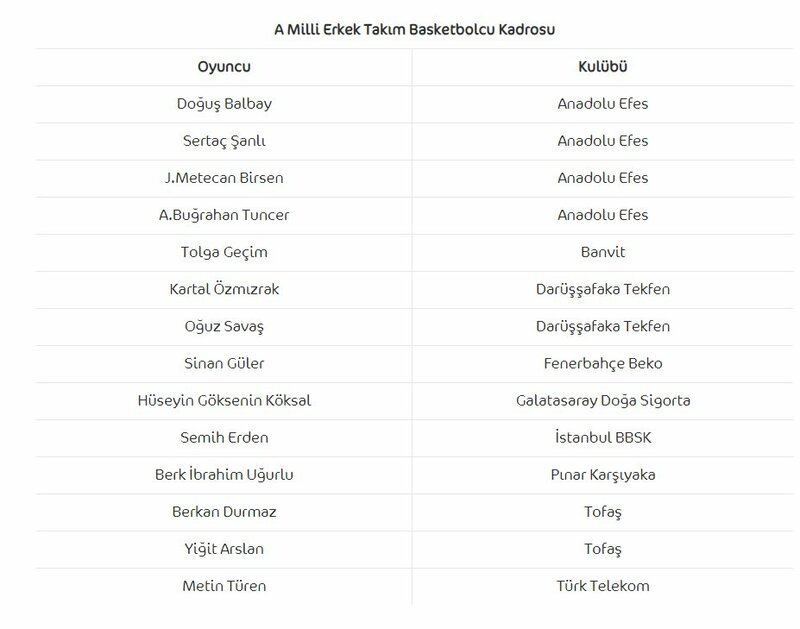 Anadolu Efes’ Balbay, Sanli and Birsen have a home game against Olympiacos on February 21st, while Ozmizrak’s and Savas’ Darussafaka Tekfen will face Guler’s Fenerbahce Beko the same day of Turkey’s first match with FIBA’s final 2018-19 window.